I have to state that I am absolutely appalled by the recent events at the white supremacy rally in Virginia. For the first time, I have lost my respect for another person’s opinion. To me, the concept that one person is better than another simply because of race or religion is absolutely absurd. Then I stop and think, if I have lost respect for my fellow Americans, what must the rest of the world think? Imagine for a moment you lived in a country other than the United States (and maybe you really do). Then take a minute to read this news article about violence at a white supremacy rally. If that was the only thing you had learned about the United States, what kind of assumptions would you make, not only about the United States, but about Americans as a whole? I try to stress to others how travel changed my life, but at the end of the day, I cannot force people to travel. I may never be able to change the minds of the ignorant and close minded-people who hate another race or religion. However, I can stop that hatred from spreading. Many of the negative views we hold about other people and places stem from bad first impressions. I can change that by being a good representative of who I am and where I come from. I am convinced that a majority of hatred and stereotypes that exist in the world today at least partially originated from a bad first impression. Being aware of what kind of impressions people might be making of us is always something to be mindful of, but it is even more important for travelers. You could affect a person’s opinion of an entire race, ethnicity, religion, place, and more. You are a representative of who you are and everything you stand for. I’m ashamed to admit that my first impression of people from India was not a good one. Since my university had a strong English as a Second Language (ESL) program, we had more exchange students than your average university. One of the semesters, there was a big scandal in one of my classes because several of the Indian exchange students had been caught doing each others’ homework, taking each others’ tests, and more. Even if I had written off this incident as a one time thing, it was still obvious that many of the Indian exchange students didn’t care about their classes because they only showed up for midterms and finals. Let’s just say I didn’t think very highly of the Indian exchange students. 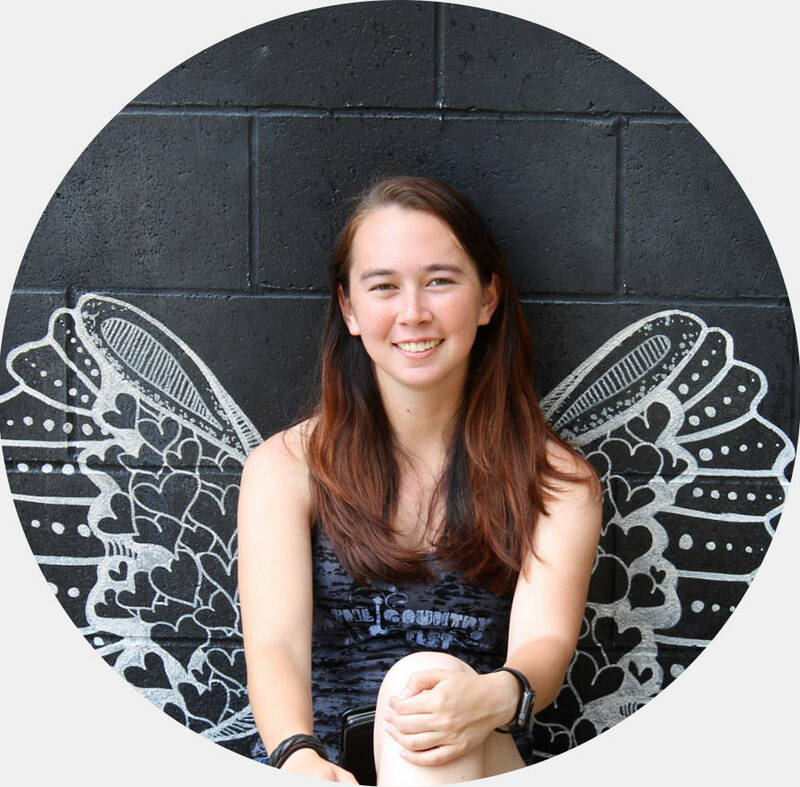 While spending four months in Japan for an exchange program, I found myself constantly frustrated by the assumptions being made about me simple because I was a foreigner. In the wake of frustration came self-realization. I had made assumptions about others the same way people in Japan had made assumptions about me. Since returning home, I feel like I have a much more open-minded approach to other people. Since that original incident at my university, I have met some really cool Indian exchange students. Just as I am convinced that hatred and stereotypes originated from bad first impressions, I am also convinced that travel (and the eye opening experiences that come with it) would erase that hatred and bring the world one step closer to peace. Travel really is fatal to prejudice, bigotry, and narrow-mindedness. It can be easy to forget that, while we are constantly making first impressions of other people, other people are also making first impressions of us. You may be the first white person first black person, first American, first European, first Christian, first Muslim, that somebody ever meets. If you walk around in a foreign country with complete disregard for that country’s culture, it will be very easy for people to jump to the conclusion that all Americans, all Christians, all whites, are ignorant, rude, and self-entitled. Look past the hatred. Look past the stereotypes. Look past the negative comments you might hear from family and friends. Look past the bad news you see from the media. Look past the bad first impressions you’ve made of other people. Dare to learn more than just the one or two things about a particular place or group of people. Be a good representative. Never forget that when you go some place new, you are not only representing yourself, but also where you came from. Do not give the people you meet a reason to hate not only you, but also the people who come after you. This is so true. I think it’s important to remember that if you meet a bad person or come into a less than ideal situation when traveling that it’s not representative of the whole country. Someone could just be having a bad day, you never know right? The more you travel the more you start to realize that people just want to live their lives, provide for their families, and be happy. It’s definitely something that we need to keep in mind! And I try to use the vice-versa train of thought too. If I’m having a bad day, I do my best not to take it out on other people, because I don’t want my bad actions to influence their opinions of the people who they might meet after me. Excellent points. I never considered that how I behave reflects upon an entire category of people that I represent, although I do try to act my best whenever possible. As a Chinese-American Texan who was living in Asia for a while, it was always interesting how people usually could not accurately guess where I was from. And when they found out I was from Texas, they wanted to know if everyone walked around with guns. (Umm, NO!) Many many years ago, I was in a conversation with a white supremacist, and it was enlightening how he had rationalized all his odious behavior. It’s very disheartening to see that activity on the upswing in America. It’s interesting hearing the stereotypes other people have of Americans. When I was in Japan I had a lot of the people ask me about guns and many of them thought that America could be a super dangerous place to visit. I hope that as I continue to travel, I can slowly change at least a few peoples’ minds! I live in Italy and honestly reading stuff like the violence at a white supremacy rally left me baffled. Because it’s 2017 and I just don’t understand how such things can still happen and such ideas are still around. Yet I must say that I like what you said. If we’d only all try to represent our countries at their best, the world would be a better place. I definitely think it’s something we need to keep in mind. I know when I first started traveling, I was more concerned with what I wanted to see instead of what other people say when they looked at me. I definitely think we should strive to show the best sides of our country! Such a wonderful quote and important topic. This is a great reminder for me, I am guilty of having a few bad experiences and talking poorly of a country when I return. I’ll work on that! 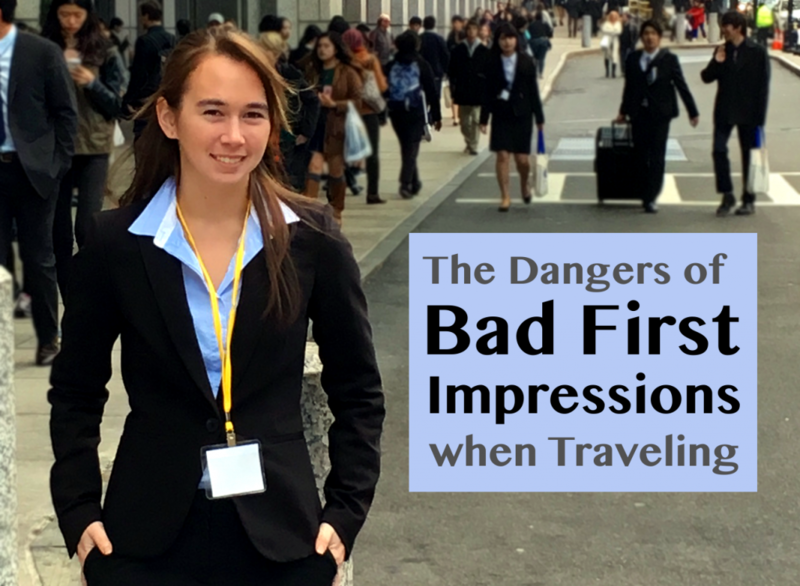 It’s definitely easy to let one bad impression get the best of us, especially if its a particularly bad one. I just do my best to phrase things so that, people can maybe learn from my bad experience without giving them an overall negative connotation. Travel is one of the best ways to overcome these prejudices and I am always wary of people who don’t travel. Or surprised by people who do travel yet still have closed-minded ideas about people. This is such an important topic to discuss! I definitely have to catch myself when I hear other people talking negatively about a particular place or group of people, especially if the basis for their opinion isn’t real strong. I have to remind myself not to snap at them and call them ignorant for their close mindedness and instead kindly show them that it might not be as bad as they think. Loved your honest opinions. We all sometimes feel prejudiced to new people and especially so when stressed. I have made my share of assumptions only to change entirely later. I even had a cartoon strip on such assumptions. It’s funny how people perceive one another! I definitely agree. I think stress and our current mood has a huge influence over how we might react. I know I definitely tend to think a little less highly of people and am quickly to be annoyed if I’m stressed or in a bad mood. I have to remind myself that I may not think the same way if I were in a better mood and do my best to reserve judgements until I’m a little more level-headed. Like the honesty. Getting stuck in those stereotypes can be so easy, and can be difficult to move past and really effect how you feel about a place or the locals. I find the more and more you travel, the more people you meet from different backgrounds, cultures, and religions, you develop a broader sense of open-mindedness. That is why travel is so vital. I know how hard it is to change those kind of opinions. I especially felt it in Japan, where everybody treated me different just because I was a foreigner. It was my frustration with Japan’s strereotypes of foreigners that opened my eyes to just how important it into be a good representative of where I come from and strive to keep an open mind to other people, countries, and cultures. This is such an important post. I love that quote by Mark Twain and firmly believe that if people traveled more, there would be less fear and hatred in the world. We’re all guilty of preconceptions but they’re usually dispelled as we get to know individuals. Yep. Nobody is perfect. I’m definitely not. However, I think sometimes those preconceptions prevent us from wanting to get to know an individual, meaning those preconceptions never get dispelled. Maybe this quote needs written in public places or something to remind us that sometimes we need a little self-awareness and to question the assumptions we’ve made. This is a wonderful post. I’ve had bad first impressions, but it’s worth it to keep traveling and change those impressions. I’m currently traveling full-time with my husband (both from the U.S.) and we thought that people might have more negative reactions to us because of the press coming out of the U.S. It hasn’t been anything to be worried about, luckily. People are looking past the press. We’re trying our best to be good representatives. I do agree that travel broadens the mind, although I’ve seen many people travel that stay in a bubble when they travel, not just luxury travellers but backpackers, too. Being surrounded by a foreign culture, however, does make you see it with new eyes and helps you open your heart. I’ve heard of other travelers, even expats, who never develop that open-mind, which just blows me away. Living in a foreigner country and experiencing their culture definitely made me question a lot of the things I was taught growing up. It was definitely an eye opening experience for me. It’s an experience that I think more people should be actively seeking. That is such an honest post. Love this quote and it is an important topic too. Exactly we should never make up our minds after the first impressions. There might be so many other things linked to it. And as you said the more you travel, the more you get to know the world. And one thing which is really important to remember is that apart from representing ourselves, we represent our country too. It’s definitely an important thing to remember. We never really know what is going on in other people’s lives. There may be many reasons for a person acting the way they do. Not jumping to conclusions about a person or place can sometimes be very hard to do, but when you consider the other things that may be linked to it, it becomes a little easy for us to open up our minds and allow our opinions to be changed. Parochial attitudes and narrow-minded prejudices exist in the world because of people generalizing and stereotyping cultures, countries, etc. Travel is a great catalyst in leading a transformation in these kinds of values. Travel breeds tolerance and the breadth of vision to accept and appreciate cultures that are different from yours. The way people look at Americans at times now is so sad. When I travel, I always use all the manners my mother taught me and try to represent myself and my country in the best light. I definitely think Americas have gotten a bit of a bad reputation, but I try and use that as a motivator. I may not be able to change the world’s attitudes about Americans, but hopefully through good and respectful attitudes and deeds, I can change at least one person’s mind.